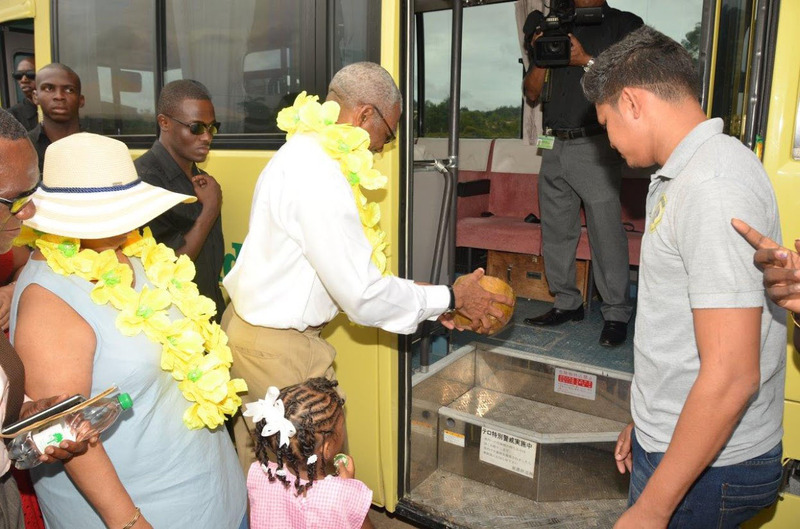 President David Granger yesterday said that education is the best investment Governments can make in preparation for the future development of any nation. Community Ground, Upper Demerara-Berbice (Region 10) where he launched the 10th school bus donated under his Five Bs or ‘Boats, Buses, Bicycles plus Breakfast and Books’ Programme. The bus, which was commissioned will benefit children from Coomacka, Siberia, Nottinghamshire and other villages along the Old England stretch in Region 10. 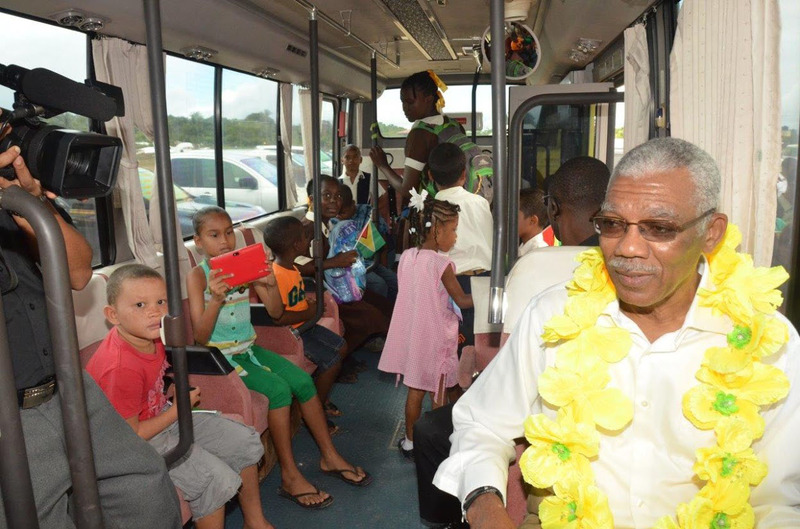 Mayor of Linden, Carwyn Holland said that for years, children from villages like Coomacka, had to walk or ride for long distances with the alternative of paying fares that are unaffordable for families in that area. He also said that construction of the roads is also in the pipeline and this will bring further relief.